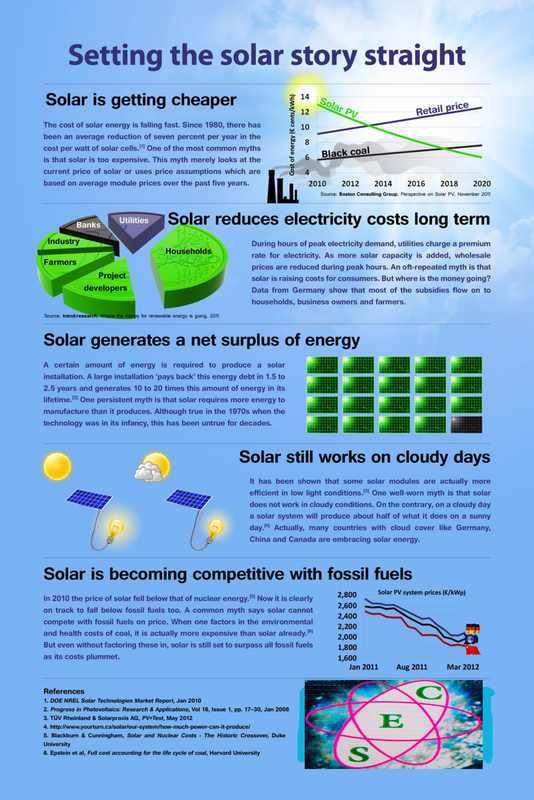 Advantages of solar panels for your home. Have you ever considered having an alternative way of generating electricity power that is cost effective and easy to maintain? well in this article I am going to discuss a better alternative to having your own electrical power generating station, which is derived from solar power by converting the sun's ray light into electricity via the use of solar panels and inverters. The way the system is built is to help you counter the dependency you totally have on public generated electricity power and also help you to save cost, because after installation you do not have to bother about electrical power bills anymore. The sun is where the whole power is gotten from and it's light is taken via chips on solar panels also known as PV cells and are made from layers of semiconducting material, usually silicon. What this cells does is that they help to convert the light into electricity and with the use of inverters this energy are stored by charging an inverter battery. The use of solar panels is basically an indigenous discussion in this era of unstable and erratic light supply in Nigeria, the debate of whether to rely on an alternate power supply for electricity as ever been a great argument among the populous living in the urban region with most population striving on daily jobs like barbers, salons, drink sellers, super marketers, even home usage etc this typical entrepreneurs are majorly affected with the power failure and outage to their business with respect to incurring cost for fuel and maintenance of their generators with payment of unstable electric bills. Even with the outlined merits of solar power or solar energy for alternate power supply, it tends to poise in one’s heart why the use of solar panels has been of less implementation among the urban home areas in Nigeria. The most viable answer is majorly base on cost of getting a complete installation of solar panel and inverter with inverter battery is quite expensive in the market, I for one will state this that the use of solar panels to power your electronic is not a must, you can actually make use of your local electric supply to alternate for solar energy derived from the sun to produce electricity (with the use of solar panels), the use of solar energy is to focus on a solution that will eradicate poor supply of electricity (erratic), reduce your electrical bills and other related cost or expense, and the use of solar panels or solar inverters is the best choice, most installation without the use of solar panels do cost 100,000 Naira for a single 200 Amh inverter battery, once you have installed this alternative power supply, you can get to enjoy uninterrupted power supply. With solar panels you don’t need to worry about erratic supply of light and it takes low on maintenance because it is all weather friendly type of alternate power supply and can withstand the harsh weather in all region and since it’s PV Cells rely on heat energy from the sun to provide electricity the use of solar inverters are put in place when the sun has done it’s half. The rule of thumb for calculating solar panel quantities for a building is to simply calculate the quantity of voltage needed to power a housing unit (or home), depending on the quantity of electronics you are using; the more electrical appliances the more solar panels and inverters with inverter battery will be required. Now most people do not realize that the use of solar panels as an alternate power supply, in simple words, solar panel work is to convert heat energy to electricity which is now stored on the solar inverters to power the inverter battery that now supply power needed for your house hold equipment. As a rule of thumb we can state that a single invert battery can be powered by 3 solar panels to power a 200 Amh powered inverter battery, which is equal to a 0.8KVA power supply. To get higher power values like 3.5KVA, etc you will only require to add more battery and solar panels to estimate the cost of complete solar panel installation. This is what you get for a single inverter battery of 200AH, now for a standard solar panel to solar power the inverter battery (if you are not relying to make use of public electric power) will be 3 solar panels, the use of a solar panel is to help you get rid of the use of public electricity, and a well charged inverter battery can give 1 KVA backup for 12 hours and on heavy load it can with stand 6 hours. Benefits of solar panels and inverters with batteries. 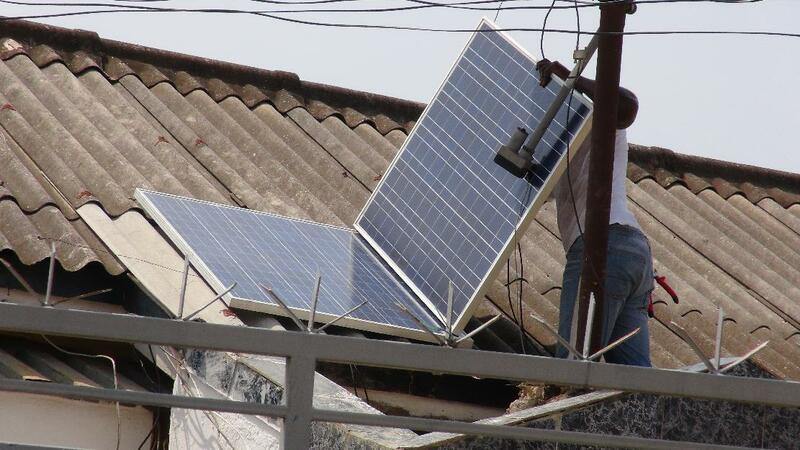 The main merit in the use of solar panels is that they help you to get rid of irregular power supply. They also help you to cut lose on electrical bills. They are easy to maintain and last longer than other form of power generating systems. 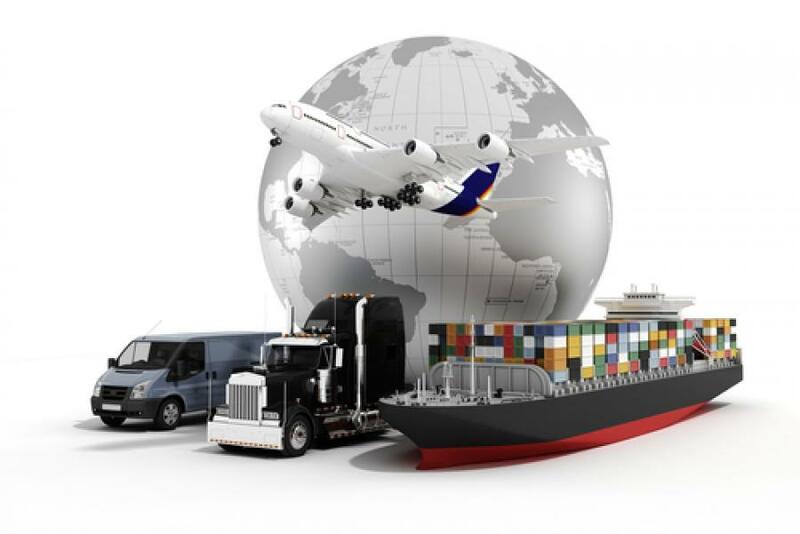 They are economical in the long haul and environmental friendly. They can be used for commercial and office to reduce overhead cost on powering electricity. 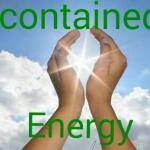 They can serve as an alternative to erratic supply of electricity. 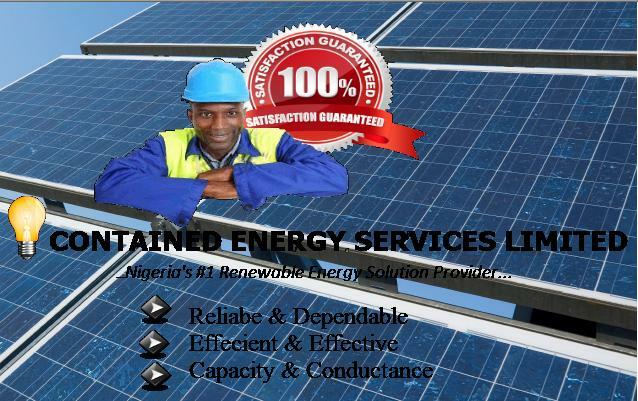 Contained Energy Services Limited is a company dedicated at bring solar power and inverter to homes in Nigeria at affordable prices. We offer best warranty and after sales service that rivals others, you as a customer are a part of our big family. A fight against erratic power supply daunting your business efficiency and relaxation at home. Call 08099549798 or 08033319391 and lets see how we can be of assistance to you.